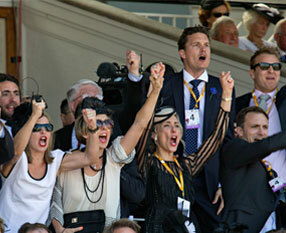 Owning a racehorse will fill you at least with some of those emotions - maybe all of them. All you have to do is decide how much of it you want to own, select a trainer, choose a horse and decide on a name and a set of colours... and before you now it, you heart will be racing. Whether you want to own 100 per cent of a horse or one per cent, or anything in between, it's all possible. Naturally, if you want the lot, you will bear all of the costs and collect all of the rewards, both of which can be substantial. But there are a variety of ownership options, and whichever one you choose, you will always be cheering for your horse, you will generally be able to go into the mounting yard and be a part of consultations with your jockey and you will be there to greet them when they return. Owning a horse outright means you get to make all the decisions yourself and in consultation with your trainer; from picking a name, choosing your silks and then having input on where and when the horse will run. You will collect all the prizemoney and enjoy any upside in residual value if the horse becomes a champion, but you will also be liable for all costs yourself. Enjoy all the excitement of sole ownership while also sharing the bills. A great way to get involved is with a group of likeminded friends. Members of a partnership of up to 20, have their names in the racebook and, depending on individual race clubs, access to the members area and the mounting yard. You must decide on a managing part-owner who will handle communications and other housekeeping issues, and it's possible for individual invoices to be sent to each partner by the trainer, transport company, vets and other suppliers. This can be a cost effective way of enjoying ownership as syndicators sell different percentages of shares in their horses. Sometimes these shares will include all costs, so you know exactly how much your ongoing liabilities will be. Syndicators should have an Australian Financial Services License and have a product disclosure statement available to read. Getting involved in a syndicate is simple, and one of the most common ways for people to get involved in ownership. 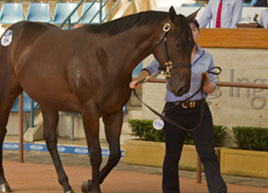 Individual trainers often advertise for members on their websites or in the press, syndication companies advertise widely, or there is the industry group the Thoroughbred Trainers Service Centre (TTSC) which is a part of Racing Australia (formerly RISA) and lists horses already placed with trainers which have shares available. During the 2013/14 season 4,964 horse syndicates were registered with a total of 26,295 individuals syndicate members and with an overall total of 74,448 individuals in horse ownership during that season, one in three people were part of a syndicate. With no up-front capital outlay it’s a good way to race a horse while only paying training fees and other day-to-day costs. 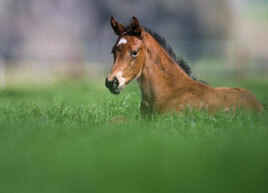 Breeders often lease horses they wish to keep to breed from at a later date. Typically there is no fee to lease the horse, although it is common for a percentage of prizemoney to be paid to the owner. A unique combination of vital factors makes Australia unique among the world's major racing nations. And the major beneficiary is the racehorse owner. Prizemoney levels have increased significantly in recent times. The 2010/11 racing season saw prizemoney at just over $428 million, while the 2014/15 season had increased to over $557 million, a staggering increase clearly highlighting that opportunities for return on investment are plentiful. 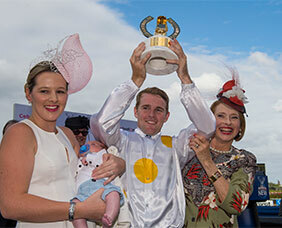 Prizemoney isn't the only source of rewards for owners. 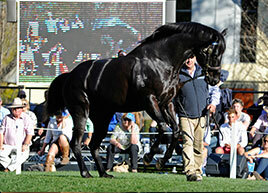 Australia has a booming stallion market into which such good racetrack performers as Pierro, All Too Hard and Zoustar were each sold for between $20 million and $30 million. Female horses can also have good residual value. The highest amount paid for any thoroughbred at auction in Australia in 2014 was $2.3 million for the broodmare Monsoon Wedding. And there is also a lucrative export market for even the moderately-performed galloper with 1400 being shipped overseas in 2013-14, most of them to Singapore and Hong Kong. There are a lot of win-win opportunities when choosing to race in Australia, but the first and most important step is deciding how much you want to spend to get involved? What is your budget? What can you afford? In Melbourne or Sydney it will cost between $30,000 and $45,000 a year to race a horse, including training, food and board plus there is transport, veterinary treatment, transport to race meetings, nomination and acceptance fees for races. The basic rule of thumb is that a horse will cover its annual costs by winning one Saturday city race a year. 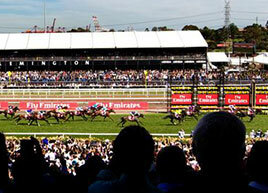 A Saturday race in Sydney is $85,000, in Melbourne $80,000 and Brisbane $65,000. Another thing to be clear on from the start is the trainer's commission on the horse's winnings. 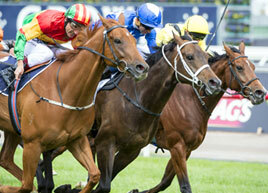 Usually it is 10% which is subtracted by race clubs from the prizemoney and paid directly to the trainer. But private arrangements are sometimes made for an additional payment by the owner. Jockeys are paid 5% of the prizemoney their horse wins which is also subtracted directly and they also receive a basic fee of $186 (as of 2015) for a losing ride, paid by the race club, not by the owner. 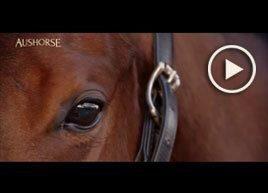 The decision has been made and racehorse ownership is for you! Now the fun begins, but where do you begin, what do you do next, how do you select a trainer, and where do you find the horse – do you purchase it at a yearling sale or through registered syndication company or trainer? 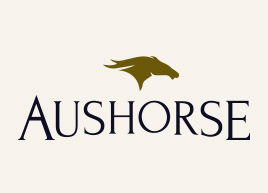 Aushorse can assist you with impartial advice in these initial stages of getting started, then once you have decided on a trainer, licenced syndicator or bloodstock agent, they will assist you on buying your horse or taking a share in a horse they have purchased at the sales. 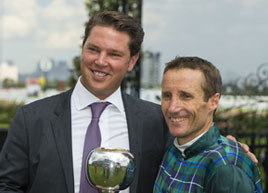 For impartial advice on becoming an owner, please visit the Racing Connections website (www.racingconnections.com.au). This website has been set up to provide unbiased information to those considering racehorse ownership, so you have all the facts you need to know on whether this pastime is for you. What’s more, if you do decide to get involved in ownership, we believe the information provided here will help you to enjoy that experience to the maximum; to assist you to make smart decisions about what type of owner you want to be and what level of commitment you are comfortable with. 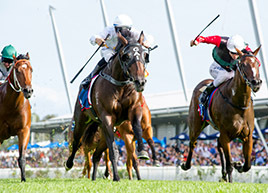 Racing Connections is a creation of Aushorse. We conducted research in 2015 which showed a need for a resource to help answer the questions of people considering ownership. Choosing a trainer is almost as important as choosing the horse, a bit like selecting a school for your child. om you can communicate and have a rapport. Some owners will want good access to the track or training ground on which the horse will be exercised. Whether a trainer is based in the city or out-of-town can also relate to how much they charge. One thing an owner needs to do, whoever trains their horse, is discuss some ground rules as early as possible The training fee and what it includes should be clearly understood. In Melbourne or Sydney it will cost between $30,000 and $45,000 a year to race a horse plus other expenses like transport, spelling, veterinary and farrier. The basic rule of thumb is that a horse will cover its annual costs by winning one Saturday city race a year. 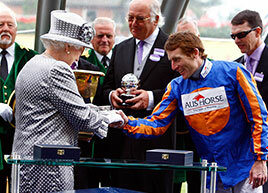 Another thing to be clear on from the start is the trainer's commission on the horse's winnings. Usually it is 10% which is subtracted by race clubs from the prizemoney and paid directly to the trainer. 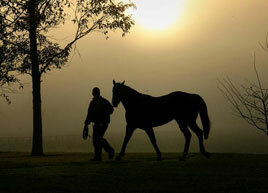 Please see the following link which lists all trainers details. Owning a horse purchased through a licensed Syndicator means you will own a share in the horse with a group of people and share the thrill of ownership for a percentage of the cost. There is the added benefit of legal documents (Product Disclosure Statement (PDS)) which include publicly disclosed details such as all costs and vet checks, and a signed partnership agreement outlining the procedures for managing the horse, such as how to vote on the horse name, how to distribute trophies and how to manage disputes. A registered Syndicator must hold a license with the Australian Securities Investment Commission (ASIC) and is licensed to publicly sell shares in a racehorse. The Syndicators offer Product Disclosure Statements (PDS) which are approved by the various State bodies where the documents are lodge, and each Principal Racing Authorities have available the Listed of Approved Promotors and Syndicators. TO FIND A SYNDICATOR IN EACH STATE PLEASE VIEW OUR LIST. If you’re planning to buy your first horse yourself, and you need an adviser. Bloodstock agents who are well respected within the thoroughbred industry and who has a professional approach to their dealings may be the right option for you. If you use an agent to provide advice, and assistance in purchasing at a yearling sale, you will need to establish in advance what their charges are. Your adviser can also arrange for a veterinary inspection of the yearling. The Federation of Bloodstock Agents Australia (FBAA) currently has 26 accredited members that included the major sale companies as well as individual agents. While there are other reputable agents operating around Australia, members of the FBAA are required to operate with the utmost integrity and professionalism; members are bound by the strict FBAA Code of Ethics held to account via a complaints system; and also abide by the Industry Code of Conduct. 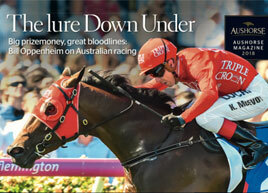 The ultimate fairy tale in modern Australian racing involves the world champion sprinter Takeover Target. A prominent trainer had tried him found he had problems with his knees and he wasn't showing any signs of overcoming them. But Queanbeyan taxi driver Joe Janiak saw something he liked, paid $1250 for him at an Inglis auction in Sydney and he duly won more than $6 million in prizemoney, racing to victory in four different countries. Takeover Target, of course, is the exception. 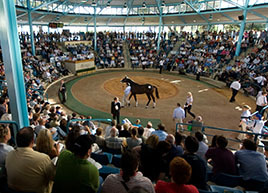 The average price for a yearling sold at auction in 2014 was $92,000 with the highest $5 million. 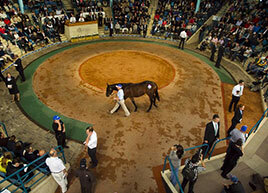 Australia has the second largest thoroughbred horse population in the world, so it's easy to find one for sale. 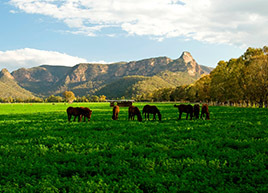 Most thoroughbred horses in Australia are sold through yearling sales which sell some 7000 yearlings, horses aged between 14 and 22 months, each year. There is no price range for good horses, no specific rules to follow concerning conformation or other physical traits and pedigrees can dictate the price you pay, but not whether a horse can run. There are many theories on buying yearlings, and even companies that apply such scientific techniques as taking biomechanical measurements and assessing cardiovascular function. But it is still mostly intuition, and some have more of it than others. 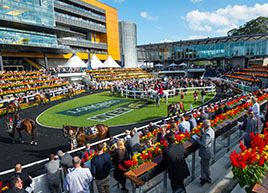 The two biggest yearling sales in Australia are the Magic Millions Gold Coast Yearling Sale in January and the William Inglis Sydney Easter Sale. While there can never be guarantees, the horses sold at these and other sales conducted by the two major auction houses are selected from thousands of entries. It is in the interests of the companies to sell horses that are likely to perform, so their experts go out to the studs and inspect them months before the sales are held, rejecting some and accepting others. If you decide you have a good enough handle on things to bid for a horse yourself there are a number of things you need to be aware of. The first is set yourself a budget, the second is stick to it and the third is make sure you have a home for the horse you've just bought. Another thing to keep in mind is that among the biggest buyers at yearling sales are trainers who will then seek out owners for their purchases. It is perfectly acceptable to approach a trainer and offer to take a share. You've selected a trainer, a syndicator or a bloodstock agent, purchased the horse and now for the fun part – a name. You will want one that sounds good being shouted out at Flemington on Melbourne Cup day, one that will be memorable, strong, clever or catchy. Some owners like names that relate to their families, others to different aspects of their lives. The choices may be endless, but many of them are strictly prohibited. 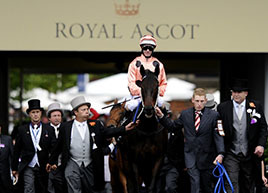 The names of past champions are mostly prohibited, any name used in Australia in the previous 17 years will be rejected as will all the winners of 11 specified races around the world, including the Melbourne Cup and Cox Plate. While most names tend to be inspired by a horse's breeding, you can usually do better than simply adding “Miss” or a “Lad” to the name of a sire or dam. Better to take it a bit further, like Octagonal, who is out of Eight Carat, or the Melbourne Cup winner Brew whose mother was Horlicks who in turn was out of Malt. 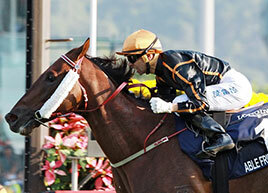 Or Earthquake who is out of the mare Cataclysm and stakes winner Foreteller, out of Prophecy. A lot of thought went into the naming of Caulfield Cup winner Elvstroem who is by Danehill out of Circles Of Gold who was out of Olympic Aim. Owner Frank Tagg wanted something to reflect both sire and dam so he asked the Danish amabassador who was his country's most famous Olympian. He was told it was sailor Paul Elvstrom, a four-time gold medallist. 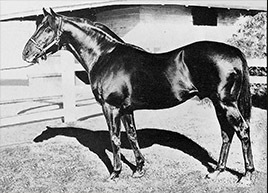 There is also a popular theory that champions have seven-letter names: Carbine, Phar Lap, Tulloch, Galilee, Gunsynd, Century, Hyperno, Dulcify, Saintly, Sunline, Marscay, and Dunaden are some that support the theory. When you've exhausted your imagination in that department, there is a set of colours to be designed and registered. A list of names must be lodge with the Registrar of Racehorses who can reject any, or all, of them. Your choice of colours must also be approved by the registrar. 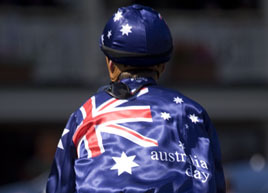 A unique combination of vital factors make Australia unique among the world's major racing nations. In the 2013-14 racing season the total return to racehorse owners from prizemoney, bonus schemes and other sources in Australia was approaching $600 million, which equates to an average of about $33,000 for every race throughout the country. Only in Japan and the United States is the prizemoney total higher and only in Japan and Hong Kong is the average per race greater. 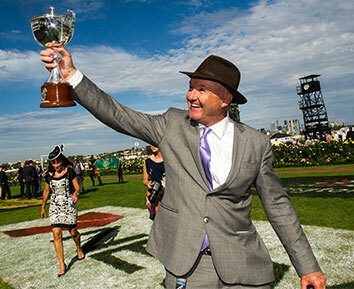 Where Australian racing stands out is that there is no barrier to ownership. Anyone from anywhere can own a racehorse, a situation that doesn't exist in Japan and Hong Kong. Underpinning Australian prizemoney levels is the willingness of the population to have a bet, sponsorship and lucrative bonus schemes funded by breeders. Such bonus schemes contributed $32 million to the national prizemoney pool in 2013-14. 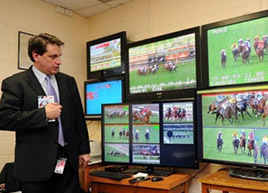 Wagering turnover on thoroughbred racing during 2013-14 totalled $16.5 billion with all forms of betting (not including casinos and lotteries) totalling $26.45 billion. Part of every dollar bet on racing was returned to the industry. From the $6.3 million offered in the Melbourne Cup to the most modest bush race, reward in Australia is more closely matched to risk than almost anywhere. 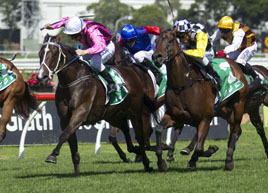 A Saturday race in Sydney is $85,000, in Melbourne $80,000 and Brisbane $65,000. One Saturday, city win will usually cover an owners annual training expenses. 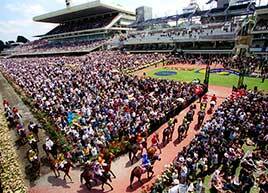 To get a picture of what an owner is getting into, the 386 Australian race clubs staged 19,400 races in 2013-14. They were contested by 30,229 horses who collectively started 189,259 times. 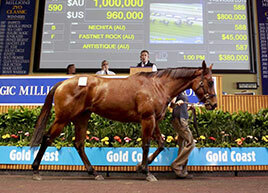 The new owners of the 4932 yearlings sold in Australia in 2013-14 paid$342 million for them. The total paid for all horses sold at public auction, including broodmares, was $469 million. And there is also a lucrative export market for even the moderately-performed galloper with 1400 being shipped in 2013-14, most of them to Singapore and Hong Kong.